Napoleon Bonaparte is considered by many people to be the best military strategist of all time. However, he was not the only one who performed great feats during the Napoleonic Wars. Excepting Wellington, Jean Lannes, Michel Ney, and Gebhard Leberecht von Blücher might have been the best of the rest. They fought with all their might for their homeland and never feared death. The three men received many honors for their service to their countries. Lannes was born in Lectoure, France, on April 10, 1769. A humble farmer’s son, he nevertheless reached the rank of Marshal of the French Empire in 1804. 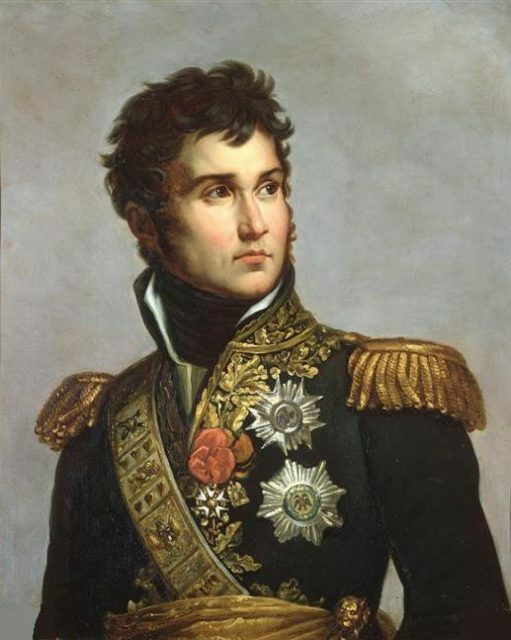 Lannes was one of Napoleon Bonaparte’s most brilliant subordinates and also his personal friend. By showing great bravery and courage in the campaigns of Italy, Austria, and Prussia, he earned the titles of Duke of Montebello and Prince of Sievers, both granted by Bonaparte himself. He began his military career after the outbreak of the French Revolution, enlisting in 1792 with the 2nd battalion of volunteers of Gers. He obtained the rank of second lieutenant. In the fighting which occurred between November 15 and 17, 1796, Lannes received two bullet wounds that forced him to retreat. However, he decided to return to help Bonaparte, who was in trouble while trying to withdraw after the Austrian counterattack. 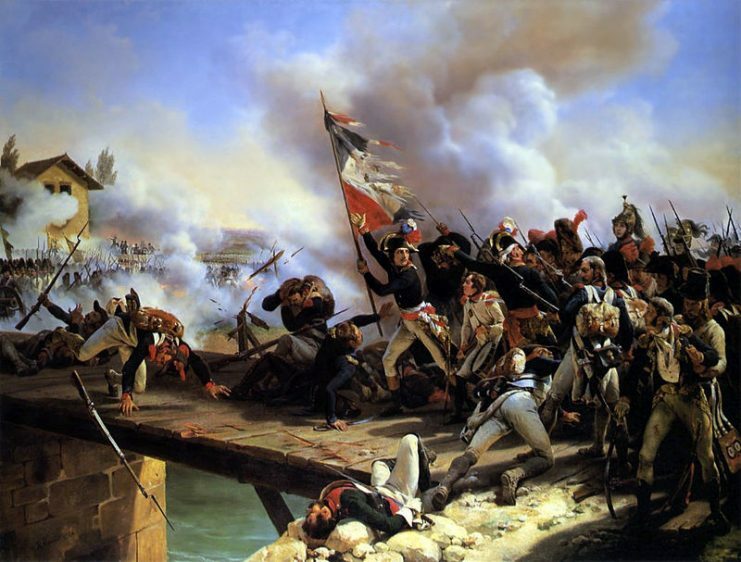 Lannes launched his troops against the enemy and was wounded again, but managed to push them beyond the bridge. Thanks to Lannes’s actions, Bonaparte was able to escape with his life. From that day, a special friendship emerged between Bonaparte and Lannes. The following year, in recognition of his performance, Bonaparte named him General of Brigade. The Battle of the Bridge of Arcole. 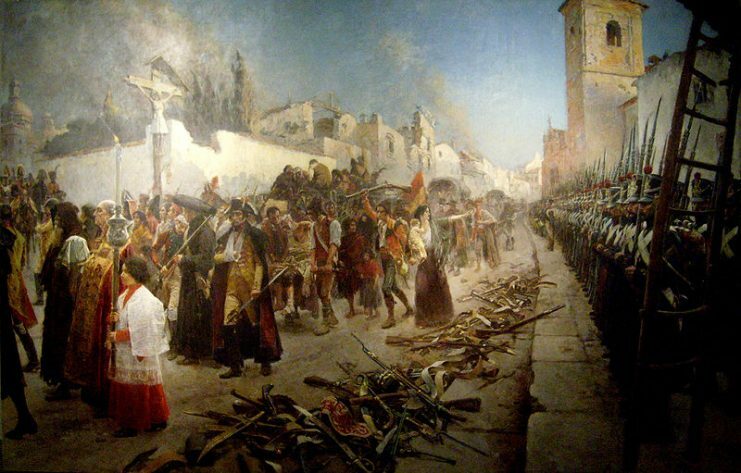 Lannes led the French army to victory during the conquest of Zaragoza. On this occasion, instead of expensive bayonet attacks, Lannes decided to use artillery and mines to destroy the resistance points one by one. On May 22, 1809, during the second day of the Battle of Aspern-Essling, a cannonball hit General Pouzet’s head, decapitating him. Pouzet was a personal friend of Lannes, who had introduced him to military life and taught him tactical knowledge. Shocked by what happened, Lannes sat on the edge of a trench and another cannonball hit his legs. He exclaimed that it was nothing, but was unable to get up with help. The damage caused by the cannonball made it necessary to amputate his left leg. Unfortunately, he suffered from gangrene that ultimately caused his death. Bonaparte cried at Lanne’s death as if his own brother had just died. 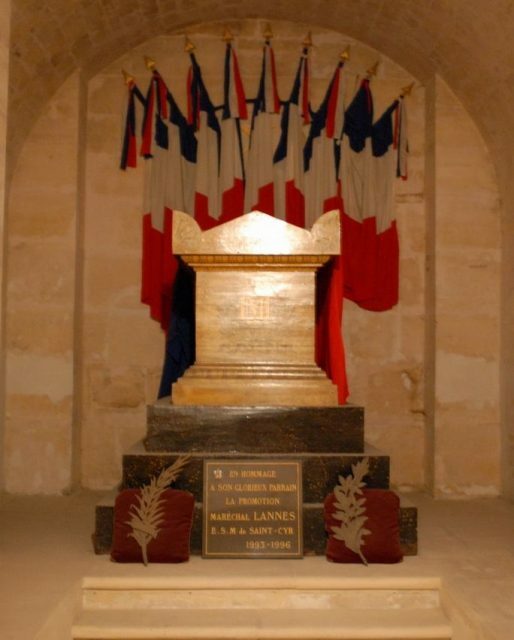 For his merits, Jean Lannes was exhumed and buried with a great ceremony at the Panthéon of Paris on July 6, 1810. Michel Ney, Duke of Elchingen, was born on January 10, 1769, in Sarrelouis, France. He was known as the bravest of the brave, “Le Brave des braves” for his great feats, a nickname which was given to him by Napoleon himself. Ney joined the 5th Army of the Hussars in 1787. From the beginning, he exhibited outstanding bravery and generosity. He was a supportive soldier with a great capacity for understanding what to do in battlefield scenarios. He reached the rank of Marshal of the Empire in Napoleon’s France, on May 19, 1804. From then on, Marshal Ney was at the head of the “Grande Armèe“. The greatest demonstration of his courage and bravery was in the campaign of Russia, during the occupation of Moscow. The city was burned by the Russians themselves, which left the French with no food supply or shelter in the middle of winter. 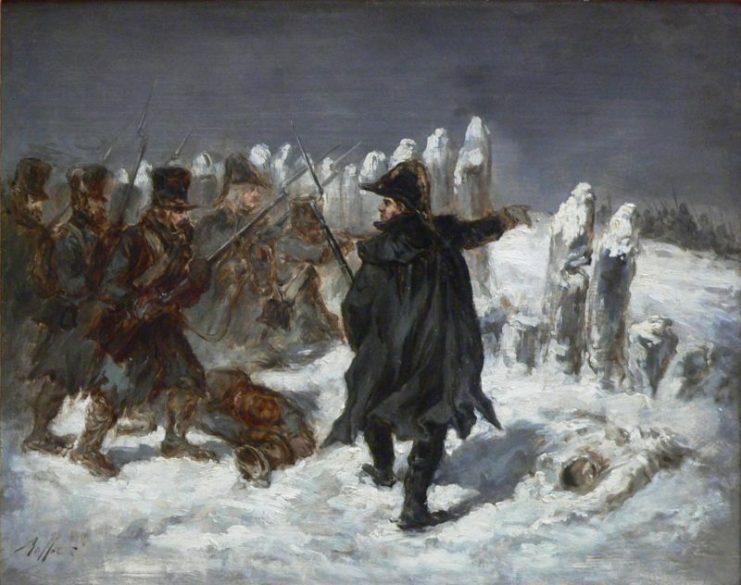 Napoleon was forced to retreat, entrusting Marshal Ney with the rearguard. When the rearguard was attacked by Russian troops, Ney’s men fled, leaving him alone and exposed to the fire of the Russian artillery. 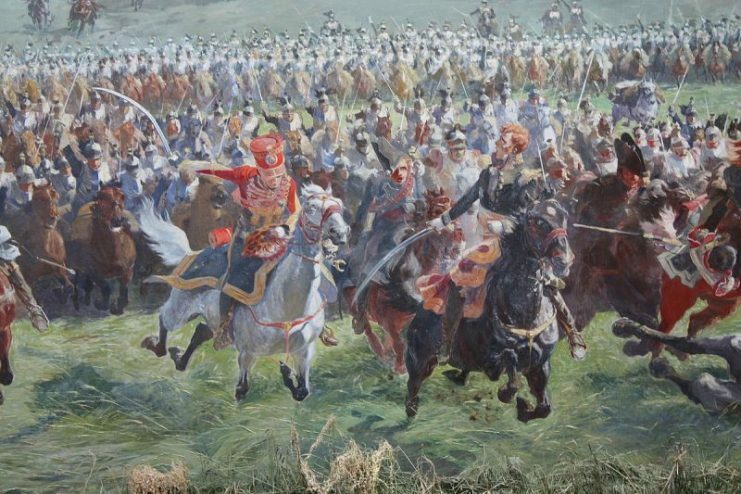 Marshal Ney, with courage, ingenuity, and improvisation managed to delay the assault of the Cossacks, allowing the withdrawal of most of the army. For hours, Ney was untraceable until he appeared before the Emperor, informing him that he had been the last French soldier to cross the crucial bridge of Kovno. 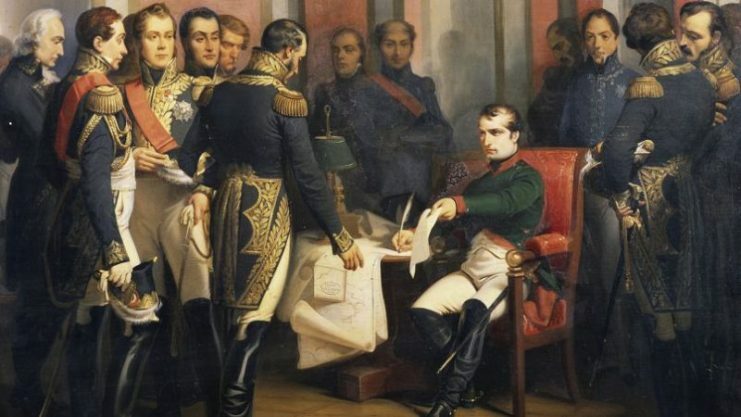 Napoleon immortalized the moment with his phrase: “France is full of brave men, but certainly Ney is the bravest of the brave.” The meeting between them was celebrated as a victory. Waterloo meant the end of Napoleon. 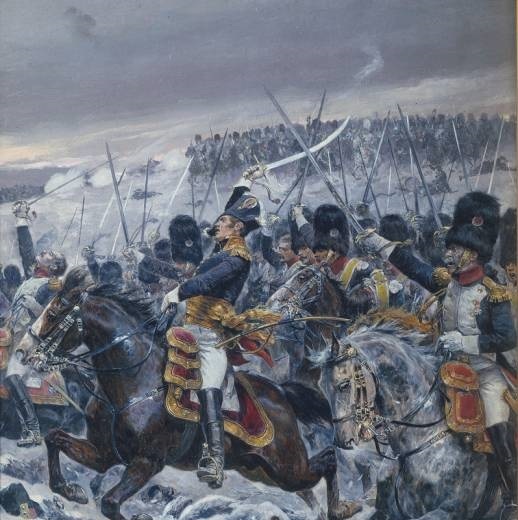 During this battle, perhaps through an act of despair or due to an excess of courage, Marshal Ney decided to attack the English formations with cavalry. 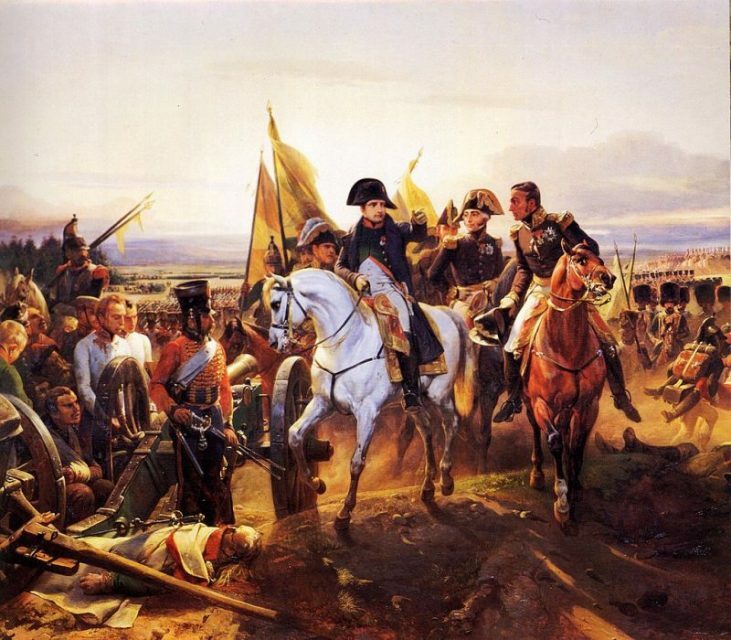 It was complete suicide since Napoleon could not assist him with any infantry forces. Instead, the brave French horsemen died in front of well-organized British infantry. By the end of the day, the French army was completely overwhelmed. Marshal Ney was judged and sentenced to death for treason against the King. He could have appealed the sentence thanks to his Prussian nationality, but he remained firm, claiming: “I am French and I will remain French.” His execution was carried out by a firing squad in Paris on December 7, 1815. His name was written in the Arc de Triomphe of Paris next to the great marshals of Napoleon. For his achievements in the Napoleonic wars, Blücher was named Prince of Wahlstatt. He was also decorated with the Star of the Grand Cross of the Iron Cross, the highest military decoration of the Kingdom of Prussia and the German Empire, also known as “Blücher’s Star” (Blücherstern). Only two men have received this decoration, with Blücher being the first. However, controversy surrounds him: for some, he was a great marshal, but according to for others, he was one of the worst of his time. Smart but impulsive, Blücher lacked the coldness to be a military genius, but he compensated for it with his great determination on the battlefield. He could always be found on the frontline, sabre in hand. He had a great affection for his troops who admired him. However, he was not so well regarded by his comrades in command or his superiors due to his vices of drinking, gambling, and women. His orders were invariably to advance and continue advancing towards the enemy. 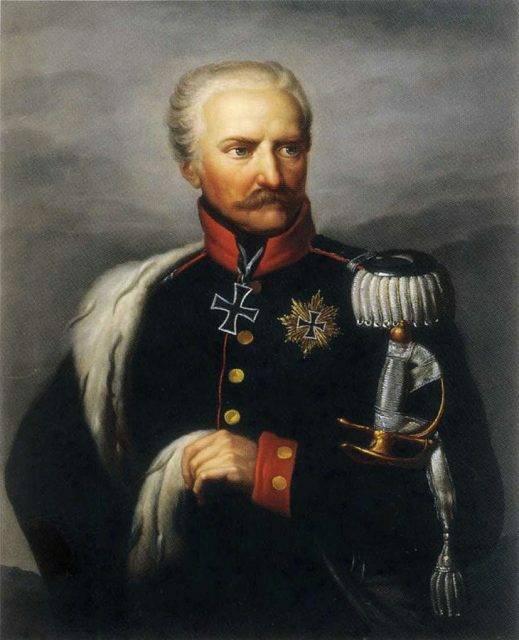 It was this aggressive tactic which earned him the nickname of Marschall Vorwärts (“Marshal Forward”), but he nevertheless played an important role in the outcome of the Napoleonic wars. Much of the controversy about whether Blücher deserves to be considered a good marshal is due to his behavior. Having lived through one of the darkest episodes of his life, Blücher entered a phase of deep depression, alcoholism, and episodes of schizophrenia. Sometimes he believed that he had become pregnant by an elephant, at other times he struggled against imaginary enemies. He also believed that his servants were warming the floor of his rooms to burn his feet. On June 16, 1815, in Ligny, Belgium, the army of Blücher suffered a severe defeat at the hands of Napoleon himself, which was to be the Emperor’s last victory. The old marshal was wounded and nearly captured. 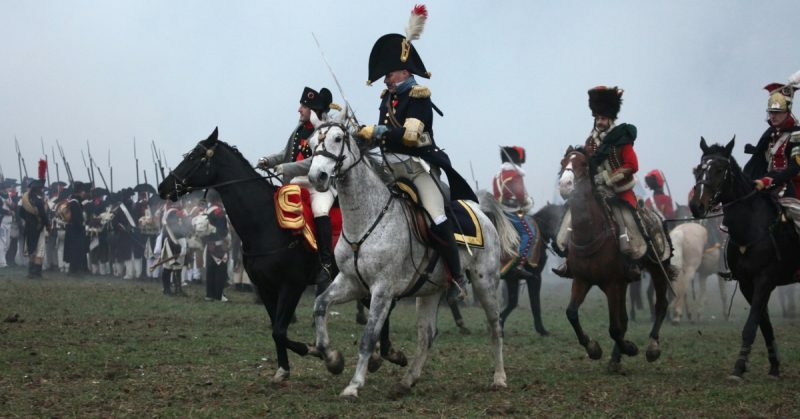 In light of this, the Prussians withdrew with the intention of meeting with Arthur Wellesley, Duke of Wellington. After the defeat, the arguments between the Prussian generals lasted until dawn. Blücher decided to aid Wellington and marched from Wavr to Waterloo. Correspondence was sent between the Prussians and the English, so Wellington would be sure that the Prussian army would help him. Wellington gave the order to retreat to Waterloo and resist a few kilometers from the Hougoumont farm. To prevent this alliance, Napoleon sent Marshal Emmanuel de Grouchy to pursue the Prussians. Grouchy was unsuccessful and Blücher continued to march inexorably towards the Waterloo battlefield. Wellington’s army was defending its position in the Hougoumont farm as best as it could against the fearsome French artillery. In the afternoon, the French noticed an army approaching their right flank. 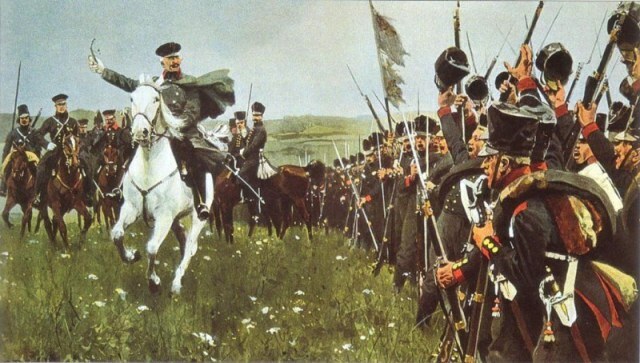 They thought it was Grouchy’s army, but in fact, it was the 30,000 Prussians under Blücher’s command. Confusion and fear spread among the French at the sight of Blücher’s men. Despite the initial success of the French Imperial Guard, the French army ended up backing down — something they had never done before. For the first time in this battle, the British took the initiative and advanced, with the help of the Prussians. At this point, the battle turned in favour of the allies. Blücher had appeared at the most opportune moment and now his men pursued the French until nightfall. 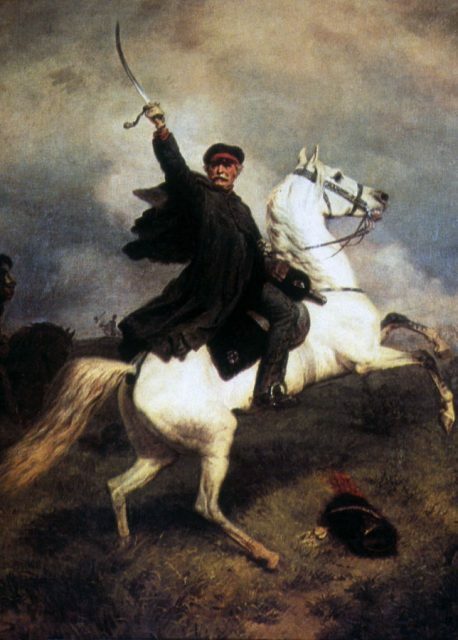 Gebhard Leberecht von Blücher at the Battle of Waterloo by Carl Röchling. In 1815, Blücher had been 72 years old. 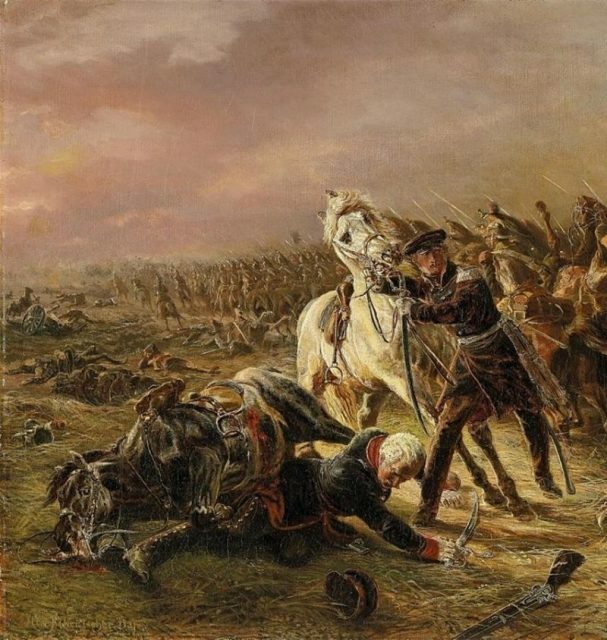 Even though he had been wounded in Ligny after his horse fell on him, that didn’t stop him being in the middle of the action two days later in Waterloo. It was undoubtedly spectacular and inspiring for his troops to see a man of his age carrying out his duties with such energy. After the Napoleonic wars, Blücher returned to his Silesian lands and finally retired. He died on his farm near Wroclaw (present-day Poland) on September 12, 1819, close to turning 77 years old.